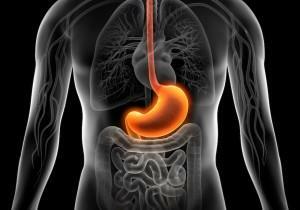 Known to get heartburn or suffer from gastrointestinal reflux disease? You’ve probably turned to medications like Nexium or Prilosec. These brand names are common heartburn medications and many heartburn drugs are also available over the counter. They may even be sitting in your medicine cabinet at home right now. However, recent studies indicate the use of these medications, known as proton pump inhibitors (PPIs), may increase the risk for kidney disease. An even most recent study in the Journal of the American Society of Nephrology, published in April of this year, notes that an estimated 15 million Americans were prescribed PPIs in 2013, and the number is most likely higher since many of these drugs are available over the counter. This study also found that the use of PPIs may lead to serious kidney damage. According to the study, 28 percent of PPIs users had a greater risk for developing chronic kidney disease. Dr. F. Paul Buckley, surgical director of the Heartburn and Acid Reflux Center, has stated that PPIs are not appropriate for occasional heartburn, or even helpful. However, given the easy access to many of these medications, and the relief from heartburn that plagues many of us, these drugs pose a danger that many are unaware of. At McDivitt Law Firm, we feel you deserve information that may be relevant to your rights as a consumer. We want to alert you to a potential claim regarding these medications that you or someone you may know have been prescribed and have suffered from kidney complications. If you have been injured by this drug and have been diagnosed with kidney disease, please contact us for a free confidential case evaluation. For more on this, please check out the piece from CBS News.